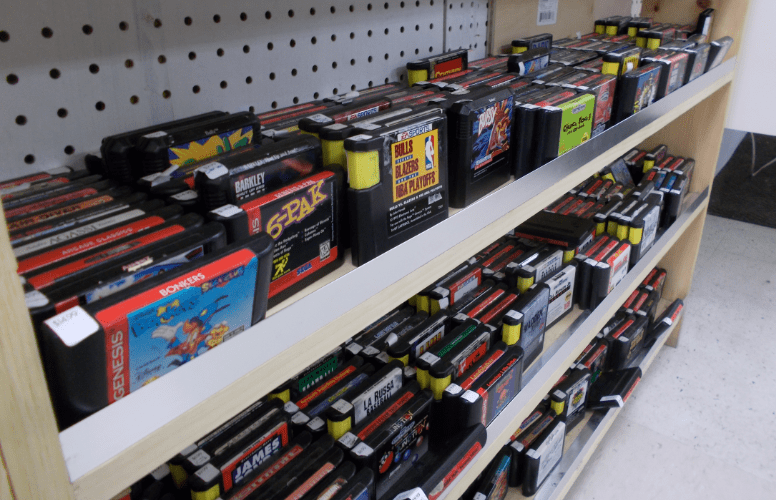 Long story short – man goes to USA and Canada to see friends and attend a wedding; man loves retrogaming; man visits the biggest retro games store in Toronto and the biggest in New York; man wishes the UK did gaming like this. Q1. Can you tell us a little history of how A&C Games first started? A & C “Games” started when Chang and I started thinking about ways to make the then “A & C Sweet Variety” profitable. At the time it was Chang who owned the convenience store and I was his sole helper/employee. I mentioned that we should do video games because we always played them when we were young and it would be cool to make it a business, that was the beginning of something special. Q2. 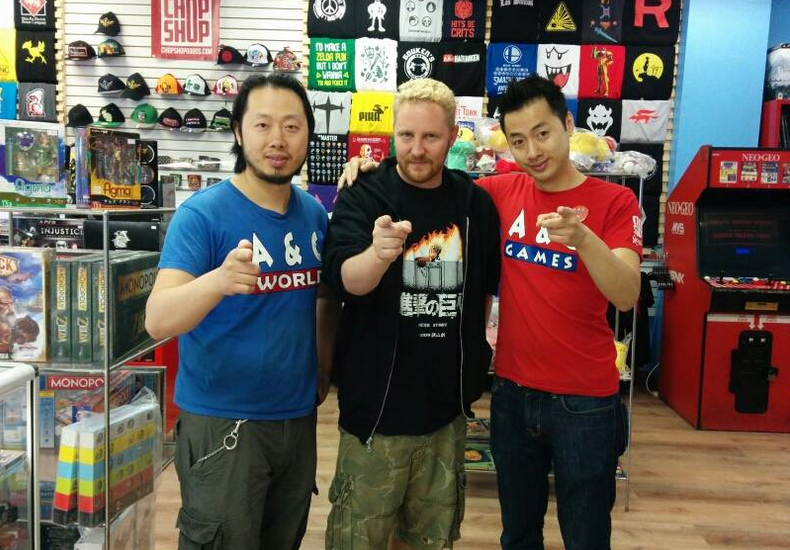 Have you always wanted to run your own video game store? I would say it didn’t cross my mind until that faithful day talking about selling games at the old convenience store, though I always thought making money in the video game industry somehow was something I wanted. Add being a professional athlete as another dream of mine as a child (and for us all Gar! – Ed). Q3. I assume you have always been an avid gamer – how does it feel to be working in the video game industry? Being a gamer and being able to live and breath it everyday is something I love being a part of. I’m sure there may be some other parts of the video game industry that is not as glittery, but where I am right now it feels great to be a part of. Q4. 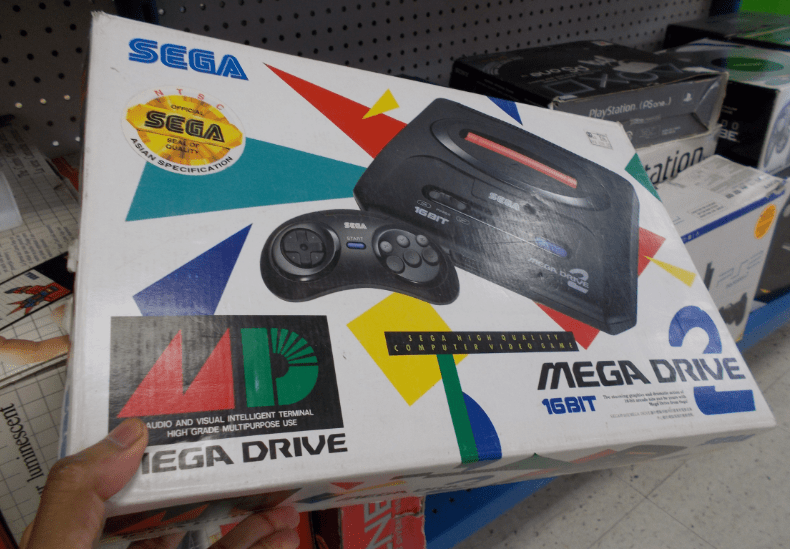 What is the rarest video game you ever owned in your store? I would say the rarest game we ever had come through the store was “The Flintstones: Surprise at Dino’s Peak” which we had probably 6 or 7 years ago and sold for $350 CDN which was the market value at the time. Q5. The retro gaming scene seems to be growing year-on-year. 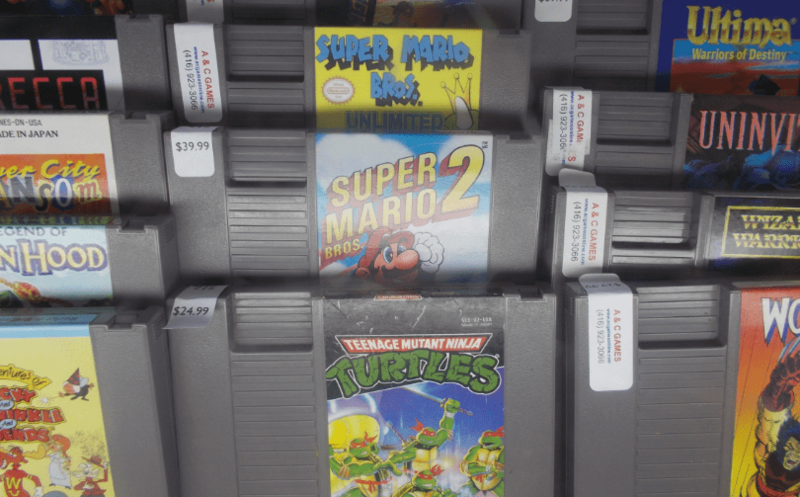 Have you personally noticed the interest in retro games increasing in your store? When we started, the interest in retro video games were solely on people’s nostalgic memories. Now with all the youtube videos and information out there, there is a new generation of retro gamers that want retro games because of influences on the internet, personal curiosity, and old school video game collecting. That combined with the aging population of gamers, that just adds more nostalgic interest in retro games, and it’s going to keep happening when PS3 becomes retro and so on. Q6. What are the most popular and sought after retro gaming classics your customers regularly enquire about? Q7. Which video game classic would you most like to get your hands on? Q8. 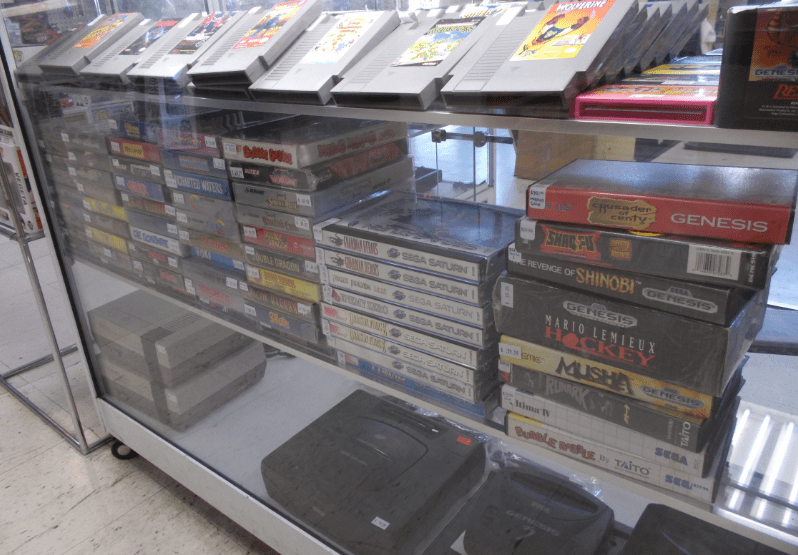 What advice would you give to anyone who is looking to work within the retro gaming market? I would say before getting into it what should drive you to get into it should be your passion for retro video games. If that isn’t what makes you want to work everyday then you are in the wrong market! Q9. What is your favourite retro game of all time? Q10. I noticed you had the extremely rare Musha on Genesis – do you mind if I ask how you acquired such a wanted item? The Musha for the Genesis (cart) was simply traded in at the test bench from a customer with other games as well. 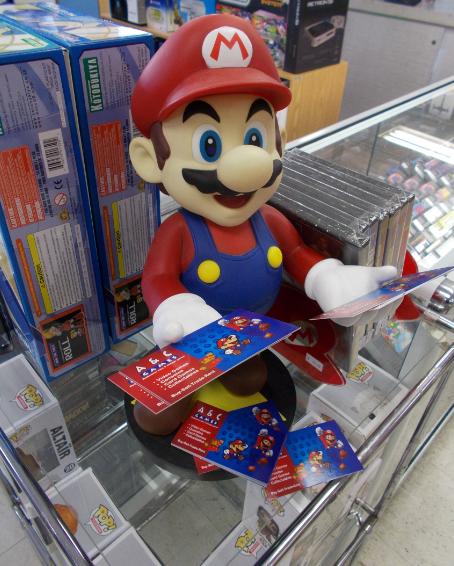 We give a value for each game according to our resale value. Q11. 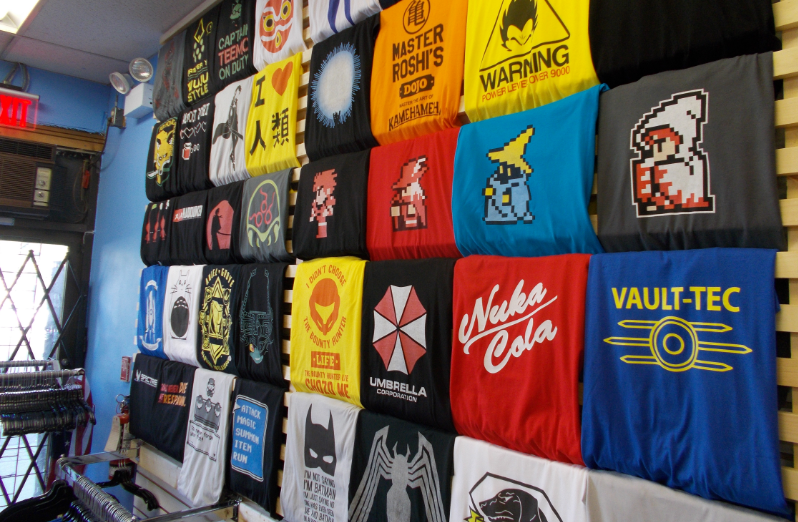 Your gaming t-shirt wall is very cool – do you think there is a good market for retro gaming apparel (inc t-shirts, hats etc…)? I believe there is a huge market for retro video game apparel. T-shirts are one of our best sellers at the store and as the population ages, there will be more demand for retro anything! Q12. Tournaments are clearly a very big part of what you do – I noticed a Street Fighter 4 tournament amongst others – do you hold retro gaming tournaments (from the 16-bit era backwards)? We do retro gaming tournaments once every couple of months. The last one we did was the Nintendo World Championships 1990 Tournament using the aforementioned reproduction cartridge. Q13. Do you have any exciting future plans for A&C Games? I would love to have a drink with Ken Masters from Street Fighter. CHEERS!